If you are looking for awesome owl checks then look no further. We think you'll love the beautiful artwork on each of these fun owl checks. We think owls are pretty fascinating birds and they are a great subject for personal checks. With their large eyes and their big bodies, owls can swoop down on the smallest of mice and have their meal of the day. Use your own hunting strategies to find the cutest Owl designs. Top quality artists like Challis & Roos contributed to this personal check collection. They are experts at creating cute cartoon owl designs. Other talented artists draw owl designs that make you laugh. Be sure to check out all of our bird designs. 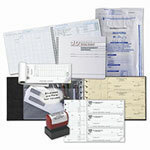 Our owl personal check designs are expertly printed with premium quality check printing. All of our personal checks with Owl designs have matching address labels and checkbook covers. Don't miss out on the total Owl experience. Thank you for shopping at Value Checks where you can order order checks cheap and get a great bargain!